Can you think of a better springtime dessert? 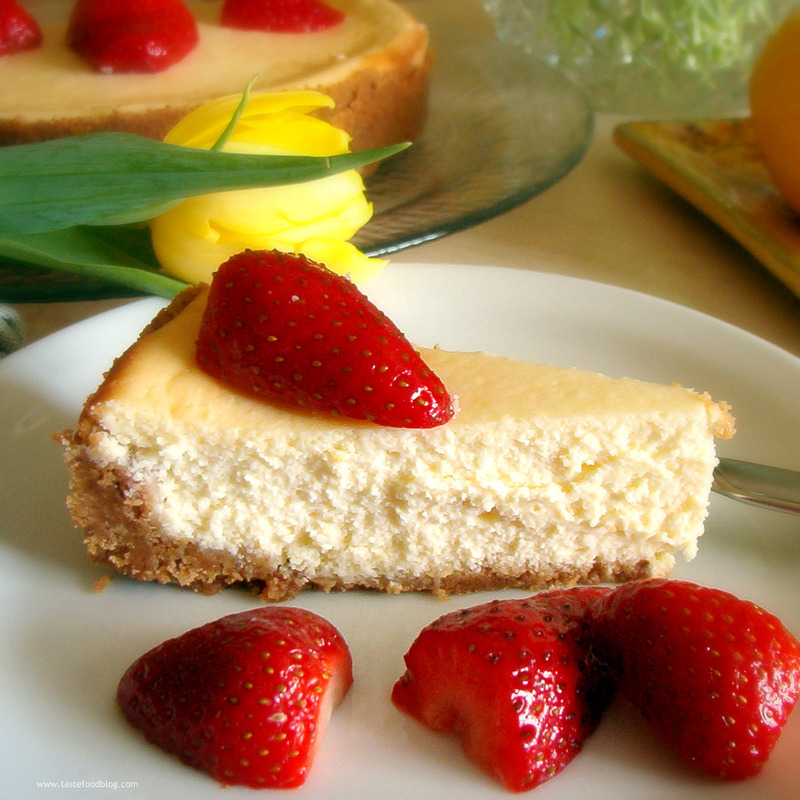 This cheesecake is rich and creamy, yet light and fresh. Mascarpone cheese combines with cream cheese to bring Italian inspiration to a cream cheese classic. Lemon juice and zest add a citrusy brightness balanced by sugar macerated strawberries garnishing the top. An easy version of a timeless classic. Prepare this cake one day before serving. Combine graham crackers and brown sugar in bowl of food processor and finely grind. Add butter and blend using on/off turns until crumbs are moist. Press crumbs onto bottom and sides of a 10 inch or 24 cm. diameter springform pan. Chill while preparing filling. Beat cream cheese and sugar in bowl of electric mixer until light and fluffy. Add mascarpone cheese; beat until smooth. Add eggs one at a time, beating 30 seconds after each. Mix in lemon juice and zest. Pour filling into crust. Bake until cake is puffed at edges and center moves slightly when shaken, about one hour. Transfer to rack and cool completely. Cover and chill overnight. To serve cake, run knife around sides of pan to loosen. Release pan sides. Place cake on plate and cut in slices. Serve with strawberries. that sounds lovely – i just saw the first strawberris of the season this weekend, although they probably still tasted of cardboard… bring on the summer!